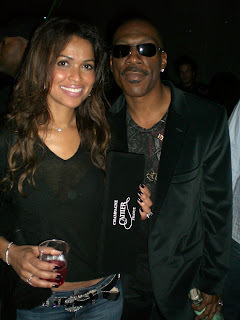 JuiicyScoop: Eddie Murphy & Tracey Edmonds SPLIT! Word over at Janet Charleton is that Eddie Murphy and his arm candy Tracy Edmonds have SPLIT. Surprise Surprise. They allegedly split up 3 weeks ago, which is exactly when Melanie B found out that Eddie was indeed her babies daddy. See how children mess up happy homes... jussstttt joookkiiinnnggg!! !